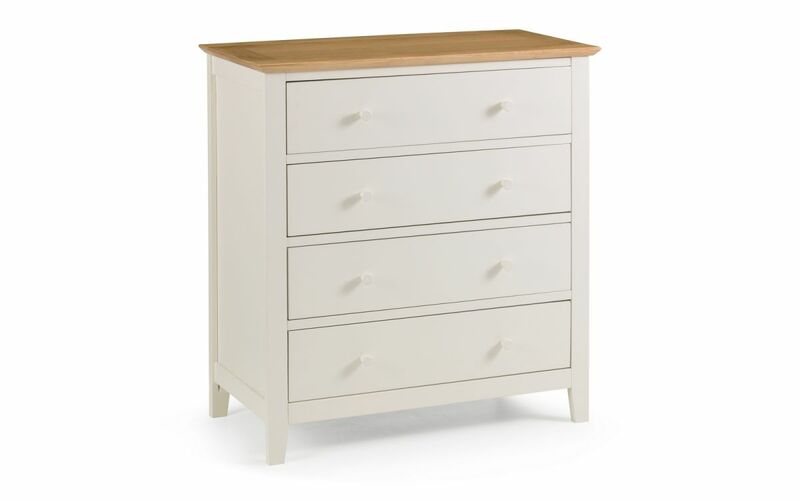 The Salerno 2-Tone Ivory and Oak 4 Drawer Chest is presented in the elegant Shaker style. Its clean, simple design and compact sizing offers timeless appeal and will fit well into any bedroom space. 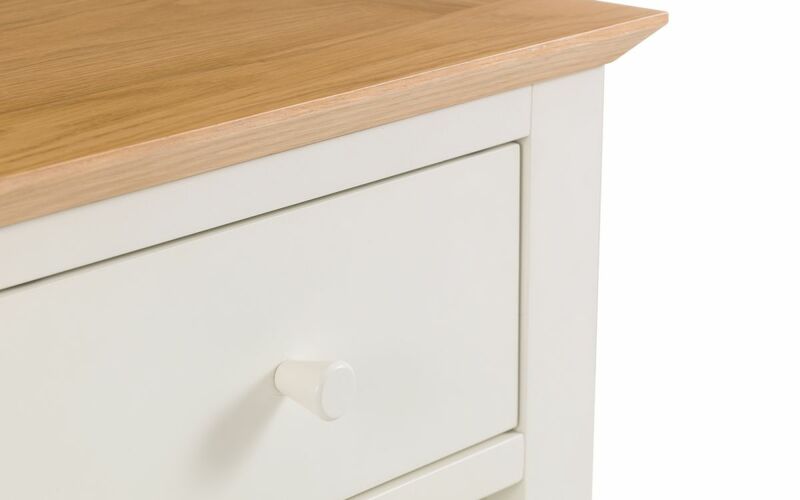 Finished in a beautiful painted ivory with high grade White Oak and Oak Veneer top, Salerno combines quality materials with robust construction into a classic design. Part of the extensive Salerno range of Beds and Bedroom Furniture in Solid Oak, 2-Tone Ivory/Oak and Ivory finishes. A mix of modern an traditional, ivory and oak finish.